Zoho Assist is a remote desktop software for Windows that allows you to remotely access desktops and back-end servers by initiating an on-demand remote support or unattended remote access session to provide top-notch IT support to your customers. Transferring files to a remote Windows desktop during a support session will help you fix glitches easily. Zoho Assist allows you to securely send and receive all types of files, up to 2GB in size. Stay in touch with your customer during remote access sessions through our chat window, rather than resorting to external messaging services. Use the windows remote desktop tool to navigate between multiple monitors of the remote computer to make troubleshooting easier. A remote access tool for Windows must support remote rebooting, as most software installations require a system reboot. Losing the remote connection while rebooting can interrupt the installation process. Zoho Assist allows you to reboot and reconnect to the remote computer without the session getting disconnected. Windows remote access tool allows you to initiate multiple support sessions from your organization account to attend to multiple customers at the same time. To resolve an issue you might need technicians with different skill sets. With invite technician, you can ask colleagues to help you out during your remote access sessions. Rebranding helps you customize your Zoho Assist account by having your company's name, logo, favicon, and portal URL shown in your organization account. 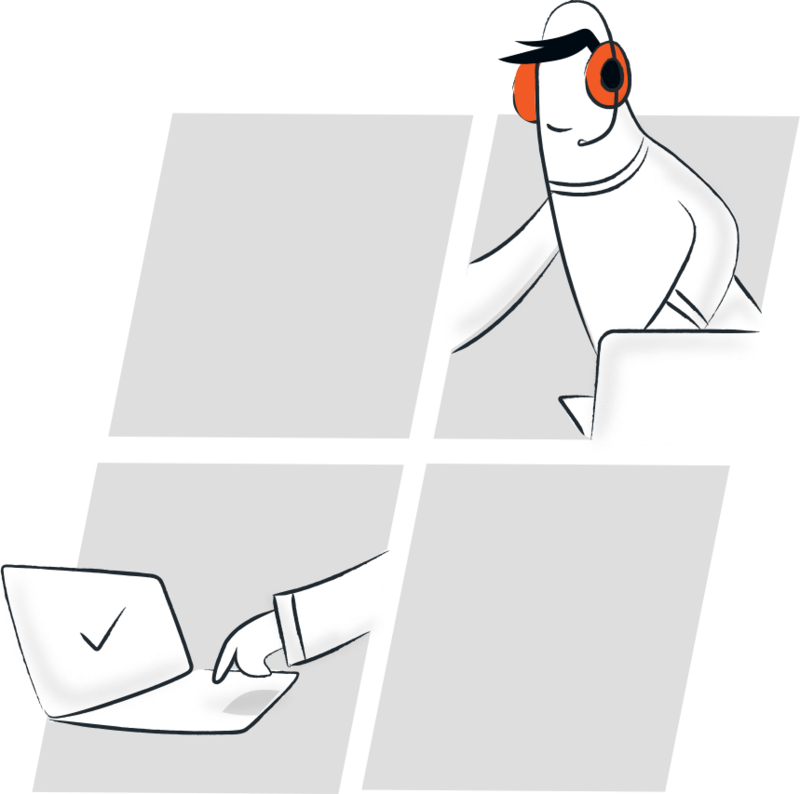 Our technician and customer apps for Windows will help you initiate remote support sessions, manage unattended computers, and join remote support sessions right from your desktop. A Windows remote application for Seamless troubleshooting.